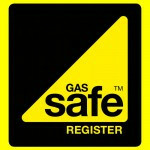 Need a new boiler in Larbert? Get FREE no-obligation quotes now! We offer Plumbing - Central Heating & Bathrooms Installations in the Falkirk and surrounding areas. We are a small but rapidly growing local company who believe our customers are our most important asset.